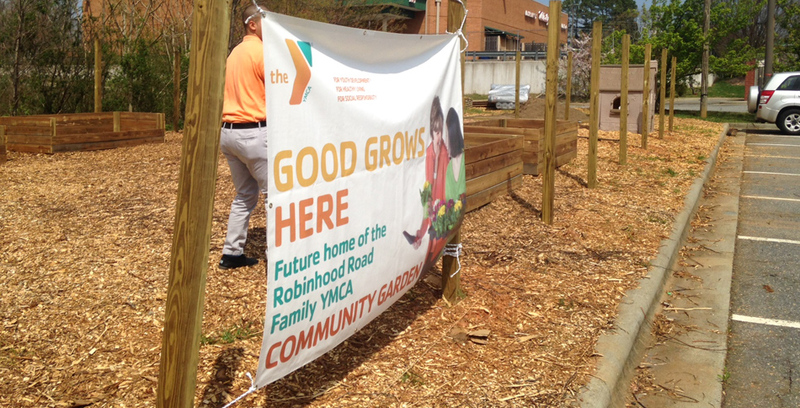 The Robinhood Road YMCA Community Garden celebrated its official opening in Summer of 2014. The garden is a mix of both allotment and communal beds and also features a children's garden. 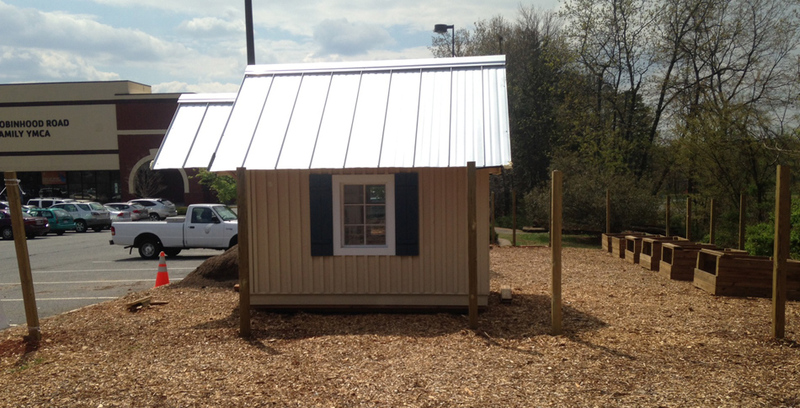 There are fifteen 4'X4' raised beds that Y members rent to grow a wide variety of flowers and vegetables. 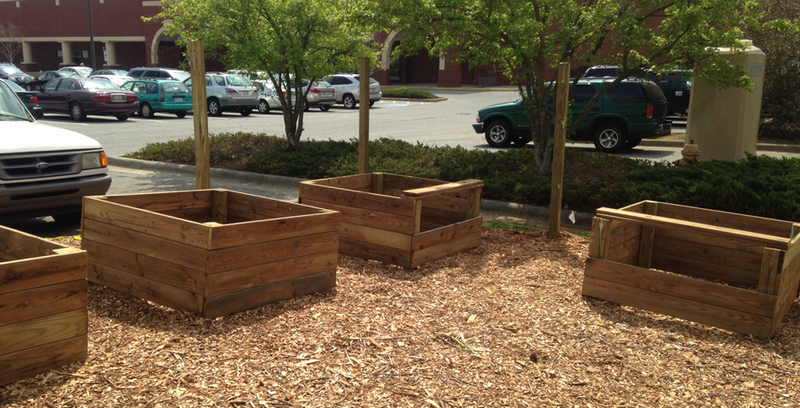 Additionally, the YMCA has a "Y" shaped bed and six 4'X8' raised beds located in the children's garden. These beds are maintained communally by volunteers, and all of the food grown in them is donated to H.O.P.E. of Winston-Salem, a non-profit formed to deliver free Sunday meals to children at risk of hunger and free fresh produce to the food deserts of Forsyth County. More than 300 volunteer hours were put into the initial development of the garden by Robinhood members, youth groups and staff.